Today, I wanted to switch gears and do a write-up of one of the various blind panel tests that we do from time to time. My regular reviews allow for comments on price, distribution, label design, format, and an evaluation of the beer vs. what it claims to be on the packaging. That’s great, but there are many levels of bias introduced when you are told the style of beer, the brewer, the ABV, and everything about the recipe. There’s immense power of suggestion when a beer claims to be a 5% strawberry Berliner Weisse from a famous brewer. The entire time you may be saying, this is just okay for a Berliner Weisse and the strawberry doesn’t quite stand out. Try it blind and the words “Berliner” and “strawberry” will never cross your mind, that’s how poor the beer was at executing that recipe. The latter is more genuine. So why don’t we just review every single beer blind? Mostly it comes down to logistics. Unless you have a group of tasters and people willing to host, i.e. cover up the bottle labels and serve beers to you, blind testing solo at home isn’t feasible. Sure, I guess I could take all of the beer in my fridge and wrap them up in paper bags, but I still know what is inside of them. Mix them around and I still know the “menu” of beers I can choose from. With this panel test, it was not perfect like in BJCP judging where the menu of beers is completely unknown and the beers are served in unmarked pitchers by non-judging stewards. In this tasting, participants each brought beers to the event but did not get to see what others brought. The primary bias here is that each participant did know that something they brought was in the mix. However, they would still be having to guess which one that one was out of the bunch. To lower this introduced bias, I brought only beers that I had never tried before. I could guess, but my hope what that nothing was familiar enough to be confident. The other difference is that in judging panels, you sample one beer category at a time or at least know the category of the beer presented. Here, we had no idea about the beer style and had to guess each time. So with the introduction behind us, let me run through the methods of the panel test. 8 participants were grouped into teams of 2 for a total of 4 panels. Half the participants were female. Only one was a credentialled beer judge. This was an informal, casual event meant to measure overall enjoyment of beers and not to critically dissect them. Two participants invited were very new to the craft beer scene, so were paired up with more experienced reviewers. 20 beers were brought once all were counted. Participants brought their bottled or canned beers to the venue already wrapped up in paper with bottle caps (if applicable) covered or marked over. Our hosts randomized the obscured bottles and cans and assigned numbers to the beers. Our hosts were also able to participate in the tasting as they only had knowledge of the beers they entered and not the ones brought by others. Beers were then split into 4 groups of 5 beers each. Each panel rotated with each beer group. Essentially, a panel of 2 tasters would evaluate each beer in the group of 5. Once complete, panels would rotate on to the next group until they sampled every one. In private, each panel of 2 completed their evaluation of the beers. That evaluation was a simple rundown of guessing the beer style, approximate ABV, and then a point score of 1 through 10 based on overall enjoyment. Beers were not graded based on style as style was unknown. At the end of the blind tasting, everyone shared their thoughts on the beers one at a time with panels submitting one combined score for each beer. An average of panel scores was created in a spreadsheet to determine overall scores. At the very end, beers were revealed to the group. This beer finished in last place mainly because two panels, including my own, scored this very low. I wrote down that this beer tasted like old Sierra Nevada Pale Ale. The other panel that did not like it wrote down “macro-brewed ESB.” Another panel thought this was a Double Rye IPA with a toasty, nutty character while the last panel jotted down Double IPA. Product description: Rogue Cold Brew IPA is a hoppy IPA infused with 200 gallons of Stumptown Coffee Roasters’ famous Cold Brew Coffee in every batch. Brewed to awaken all your senses, Cold Brew IPA opens with a huge hit of coffee aroma that is balanced by a not-so-subtle hop punch. 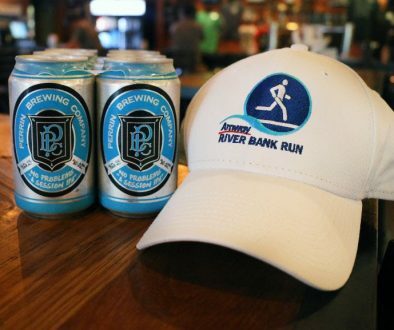 This beer is certain to perk you up! Debrief: We checked the bottle and could not find a bottling date on it. Three panels thought this was an American-style hoppy pale ale with aggressive bitterness. Only one reviewer out of 8 mentioned anything remotely close to coffee with notes that it was “toasty and nutty.” It’s safe to say that this beer did not taste like a coffee IPA. Panelists were split between calling this a pilsner and a blonde ale. Guesses at strength ranged from 3.5 to 5.5%. Everyone thought this was a simple, no-frills beer. One panel thought this was Mikkeller’s American Dream pilsner. I personally gave it 7/10 points and guessed American blonde ale. I would, however, drink this beer again in a heartbeat based on its clean profile and refreshing character. Product description: There are days when you want a beer—just a beer—that hits all the right spots. Well, this is it. No snifters required, no special occasions—just an unfussy, uncomplicated, hoppy blonde ale brewed to fit in no matter where it goes. This isn’t beer for collecting, this is beer for drinking. Yeast: Ale Yeast. Hops: Simcoe, Polaris, Comet. Malt: Two-row pale, Acidulated, Munich, Pilsner. 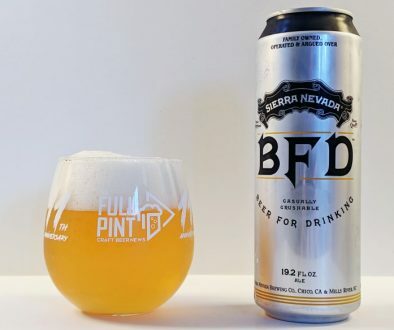 Debrief: This is a new beer from Sierra Nevada that follows in the footsteps of Green Flash Blonde (GFB) and Firestone Walker Lager, which I recently reviewed. However, I definitely prefer BFD and hope to find it in more stores around me. Currently, this beer is available as single 19oz tallboys – an almost malt liquor marketing approach. With BFD you get some obvious house pale malt character that makes SN beers so fantastic. Currently, this is tough to find in my market. But I think it warrants an in-depth review, so will seek this out again for sure. The fact that many participants placed this as a pilsner is a testament to how clean and drinkable this beer was as well as to its obvious bitterness. Though it finished near the bottom of this tasting, I think that is mainly because the beer is purposely subtle and meant to cater to a wider macro beer-drinking audience. Panels were split on this beer. Two thought it was a barrel-aged imperial stout and the other two thought it was a Black IPA. Three panels guessed strong alcohol content ranging from 9-12%. My panel placed this as a 7.5% Black IPA. We did not enjoy it too much scoring it 4/10 due to its abrasiveness and over-the-top nature. Another panel also scored this 4/10 noting that the alcohol content was unrestrained. Product description: Russian Imperial Stout brewed with a monstrous amount of malt and combined with aggressive American hops, this beer is powerful and complex and designed to age. Smokiness is subtle but present and blends nicely with the rich, dark flavors. Debrief: This beer has been around for a long time and has always been dry-hopped extravagantly to where it is more like an Imperial Black IPA than a typical imperial stout. Black IPA seems to be a love it or hate it style. Indeed, two panels gave this 4/10 points. One particular reviewer scored this a 9/10, but their panel score was 7.5/10. All four panels were in agreement this was a regular strength West Coast IPA with not much more noted. 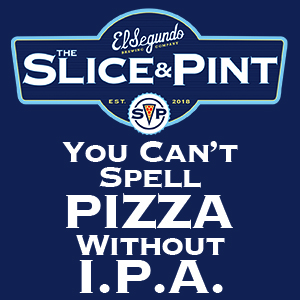 One individual reviewer wrote down this was exceptionally refreshing and clean for an IPA. Overall, few were wowed by the beer. Product description: Chasing flavor over hype, this unabashedly West Coast IPA is bursting with aroma, finishes crisp, and is unapologetically clear – A.F. Brewed in collaboration with The Full Pint for their 10th Anniversary. This beer features Citra, Nelson, El Dorado, and Mosaic hops. Debrief: This was one of my top beers of last year. In this panel test, not too many were super impressed, but it did not receive any scores below 5. I brought the beer and ensured it was a very fresh bottle. What makes this beer great is that it is clean, simple, and refreshing. But when pitted against more intense beers, it was clearly overlooked – one of the pitfalls of doing an open submission with no category requirements. There was no consensus on this beer either. One panel thought this was a 6% sweet stout. Another thought vanilla porter. Yet another thought chocolate coconut porter with a German chocolate cake flavor. My panel thought this was a 6% vanilla brown ale that ended up tasting like hard cream soda. I scored this the lowest of all participants – giving it a 4 out of 10 for overall enjoyment. Product description: Brewed with well water (the original well, sunk in 1758, is still in use with the hard water is drawn from 85 feet underground), the gently roasted organic chocolate malt and organic cocoa impart a delicious, smooth and creamy character, with inviting deep flavours and a delightful finish – this is the perfect marriage of satisfying stout and luxurious chocolate. Debrief: In my opinion, this beer is too light-colored to be considered a stout. It’s completely see-through dark brown, so I personally threw stout/porter out immediately. In terms of chocolate, only one panel even mentioned the word. Overall, I don’t think this beer captures either chocolate or stout. All tasters were in agreement that this was some sort of mint chocolate dark beer, but there was no consensus on ABV. One panel thought the beer had an intense charred character and was too harsh. That same panel placed ABV at 5%. Another panel thought it was Ballast Point’s Peppermint Victory at Sea, which is an imperial porter at 10% ABV. I personally thought it was a 5% mint chocolate stout and gave it 6/10 points for overall enjoyment thinking it was a bit thin and ashy. Product description: As if our seasonally released Stone Coffee Milk Stout wasn’t special enough, we decided to take our classic brewhouse blend and make our own riff by adding fresh chocolate mint and peppermint. The bright, intoxicating aromatics of the chocolate and mint emanating from this smooth-drinking, caffeinated libation are palpable. However, they are simply just a refreshing accent to this still predominantly coffee brew. From the creamy, frothy head on top to the semisweet, slightly dry finish, we don’t think our brewing team could have whipped up a better recipe for this extra-special time of year. Debrief: “Coffee” and “milk stout” were not thrown very much around in the discussion. Even the participant who brought the beer and knew it would be in the mix described it as Stone Mint Chocolate Milk Stout, which is not the correct name. They did not pick out the coffee character and neither did two other panels. Ballast Point’s Peppermint Victory at Sea does include coffee, though. So at least one panel believed it was a coffee beer albeit somewhat indirectly. Three panels thought this was a higher alcohol (8-9%) Belgian Tripel or Belgian Strong Blonde Ale while the fourth panel penned 5.5% saison. My panel scored this the lowest of all at 4/10 points, mainly because I just personally dislike this style altogether and the alcohol character was unrestrained. Product description: First brewed back in 2004, Curieux was our first foray into barrel aging. To make Curieux, we take our Tripel and let it age in bourbon barrels for seven weeks. Once that time is up, we take the beer out of our cold cellars and blend it back with a portion of fresh Tripel. The resulting rich, golden ale features smooth notes of coconut, vanilla, and a hint of bourbon. Debrief: No one mentioned bourbon or any barrel notes in this beer. Fumey alcohol and esters dominated the nose while white sugar and booze dominated the flavor. This felt outdated and uninteresting to me, but most participants enjoyed it. Tasters were all over the place on this beer. One panel placed this as a 9.5% Belgian Quadrupel while another thought it was a 9.5% American Strong Ale. A third panel placed it as a 10% Scotch Ale. I personally thought this was a bourbon barrel barleywine of some sort and guessed ABV was around 9%. I enjoyed it thoroughly and gave it 7/10 points. Product description: Scotch-style Ale Brewed with Maple Syrup & Aged in Bourbon Barrels. Balanced and rich, this classic Scotch Ale was brewed with maple syrup and aged in bourbon barrels. Flavors and aromas of oak, maple, and caramel round out this delicious and complex beer. Aged 10 months in bourbon barrels. Debrief: Panelists knew this was a strong amber ale, but couldn’t tell if this was a Belgian, American, or British style; which is expected as this is an American brewery’s rendition of a British strong amber ale. However, no taster mentioned maple at any point and only one mentioned barrel aging. Panels had mixed thoughts on this beer. One panel guessed the beer correctly as one of the tasters brought the beer to the event – a bias I already outlined in the introduction. Still, it is useful to know that this beer’s flavor matched its marketing. Two other panels thought this was a Belgian farmhouse ale with my panel guessing a 3% grisette. Besides those with the advantage of knowing this beer was entered, no one mentioned berries, though I eventually wrote down that it smelled like Kool-aid as it warmed up. My panel scored it 5/10, the lowest of all four panels. Product description: A delicate crystal wheat beer with a light, thirst-quenching body, balanced by the equally tempting aroma or organic acai, pomegranate, and other mixed berries. Debrief: This barely expressed any fruit character. However, the base beer is much better than you might expect. Instead of a creamy, dull American wheat ale base, you are rewarded with a much more delicate Belgian farmhouse-like body with expressive yeast character – a nice surprise. Each panel thought this was a NE-Style hazy IPA in the 6.5-7.5% range. One thought it was from local hazy IPA legend Modern Times. I personally enjoyed it but thought it had a bizarre smoked pineapple character. I actually brought a pineapple IPA to this blind showdown from a brewery I had never tried before, so I guessed that this was it. Debrief: All tasters thought this beer nailed everything about the hazy IPA style: sweeter, soft-bodied, barely bitter, super drinkable, and heavy turbidity. No one mentioned vanilla or pomegranate, though. I personally dislike vanilla in beers and would probably gag at vanilla added to an IPA. So, it is safe to say this beer does not smell or taste like vanilla. Pomegranate is a pretty subtle flavor. Since the beer was a normal hazy golden color, I can’t imagine much pomegranate was added to this beer. Everything blended in nicely to create just a well-received NE-style IPA. Personally, I thought the beer had some odd phenolic notes in the aroma that gave it an unbecoming smoked flavor that did not blend in nicely. But my opinion was not shared by others. This beer had our panels split. Two panels thought this beer was a pilsner with one writing down Firestone Walker Pivo Pils. The other two panels thought it was a saison. My panel thought this was a lower alcohol, dry-hopped saison in particular. We loved it and gave it a 9/10. Product description: After a few years of homebrewing in our garage, my brother and I decided we should open a brewery so that we could share our beer. In 2009 we started with a one barrel system and worked on a single recipe, over and over, until Peeper was born. And now we have enough to share. Cheers! Hops: Amarillo, Cascade, Centennial. Malt: American 2-row, Carapils, Vienna, Red Wheat. Debrief: When I first tried this beer in 2010, it was easily the most impressive American pale ale (APA) I had ever had. Peeper, or what was then called Spring Peeper, was a game-changing beer. Fast-forward to today and Peeper is still in a league of its own. Instead of trying to be a lower strength IPA, Maine Beer has created this ethereal masterpiece that showcases the very best of refreshing beer as shown by our panelists’ split between saison and pilsner. This beer is so light-bodied, effervescent, fresh, and crisp; that something usually sticky and underwhelming like APA is not even on the radar. Truly, this is the best APA you can buy. All tasters were in agreement over this beer. Everyone guessed it was a sweeter, hazy IPA with 3 out of 4 panels guessing that this was a hazy Double IPA placing ABV around 7.5-8.5%. It also received high marks from most with one panel guessing it was a hazy Double IPA from Modern Times. My panel gave it 5/10 points, the lowest of all panels, just based on poorer mouthfeel than its peers in this segment. Product description: Space Lettuce is a luxuriously smooth double IPA, brewed with a plethora of flaked wheat. We dry hop this beer 3 separate times, resulting in a stratospheric hop experience. Space Lettuce uses Citra, Mosaic, Ekuanot, Simcoe, Mandarina Bavaria, and Columbus hops. Debrief: This ticked all the boxes for the style and was one of the favorites of the evening. I brought this beer to the tasting, but had not tried it before. This beer was not distinct enough from local hazy IPAs to pick out of the crowd for most folks. That’s high praise really. Panelists were in consensus that this was a monster beer (10-12%) and all but one group thought it was barrel-aged. Three panels thought it was an imperial stout whereas my panel guessed at American Strong Ale from Firestone Walker. One group did get a coconut flavor out of it. I personally thought the beer was hugely sweet and overdone, but our panel still gave it 8/10 points. Product description: This gigantic 15% Imperial Porter is deceptively smooth and subtly sweet with layers of flavor that never seem to end. Some say it tastes like a Mounds candy bar that’s been dipped over and over again in rich chocolate and soaked in bourbon. Other people find flavors of coconut, cinnamon, toffee, vanilla, and coffee — and they would also be correct. This beer is special and there’s a reason why it was named as the top beer in the World. Debrief: I’ll be writing an in-depth review of this beer soon, so I don’t want to give too much commentary right now. Overall, I was seriously perplexed that a beer called Vietnamese Porter had nothing to do with coffee or at least no participants mentioned coffee in their notes. Blame AleSmith, but in this market, “Vietnamese Porter” pretty much means coffee beer. Panels were split between calling this a gose and a Berliner Weisse. Everyone guessed below 5% for the ABV. My panel thought it was a 3.5% gose from Westbrook (Mt Pleasant, SC). Someone guessed this was from local gose and Berliner-loving producer Modern Times. Product description: This supremely crushable liquid marvel marries the tart refreshment of a classic Berliner with the delectably juicy, citrusy radness of tangerines & soursops. If you’re wondering what the hell a soursop is, it’s that green, prickly fruit you’ve always eyed in the produce aisle but never worked up the nerve to throw in your cart. It tastes like a cross between a pineapple and a papaya, and if you’ve never tasted one, this delightful beverage is a pretty fantastic introduction. Debrief: No one mentioned tangerines or soursops, but everyone enjoyed the beer. It was bright, sour, and refreshing with quite a bit of saltiness, which threw half of us off. Still, this is a special release from MT that you should seek out before it disappears. This beer was a head-scratcher for our panels. One panel wrote that it tasted like a sweet honey beer and perhaps was a mead hybrid like a Biere de Miel. Two panels, including my own, called this a hazy, sweet IPA with higher ABV. The final panel thought the beer had a vanilla addition. Debrief: I brought this beer to the tasting and thought I had picked it out during our blind sampling but was incorrect. No one mentioned pineapple in their notes, which is odd for a beer that is marketed as similar to Dole Whip, a pineapple soft serve. Everyone did pick up hefty sweetness, which is possibly due to a lactose sugar addition. The problem was that sugar totally dominated this beer and pineapple was absent. However, every panel enjoyed it nonetheless. Panelists were mostly in agreement that this was a Berliner Weisse while another thought American sour ale. Fruit character was mentioned by everyone especially due to the beer’s bright pink coloring. A few specified raspberry as the fruit addition. One panel guessed this beer was a product of Casa Agria, a local-ish sour brewery. Where panelists disagreed was alcohol. Three panels thought 4% while another guessed 7%. I personally gave this 7/10 points and wrote down that I thoroughly enjoyed its flavors of pickled beets, cranberries, and raspberries. Product description: Mischief Managed is the first in our series of Berliner Weisses. This version is aged in Sauvignon blanc barrels on raspberries. Tart, crisp and clean, this ruby-hued Berliner Weisse is refreshingly dry. Berliner Weisse yeasts are notorious for causing mischief in the beer if not managed correctly, so we kept this beer in the Room of Requirement at the Garage for months. Debrief: No one guessed that this was wine barrel-aged, which is an unusual treatment anyway for a Berliner Weisse. It was also white wine barrel-aged, which is generally quite subtle. Monday Night’s Garage Series of beers have continued to impress me and obviously impressed our entire group. This series comprises the brewery’s small batch, special release beers. Earlier this year, I sampled their Garage Series Ante Meridiem and was very impressed. This beer threw some for a loop. I brought the beer and knew immediately that this was the coconut IPA. However, it was much better than I expected. Our panel scored it 10/10 points. Another panel (who obviously had no idea that this beer was entered) also nailed it that this was a coconut IPA and guessed it was from local producer Belching Beaver, which is perhaps the only brewery in the area famous for a coconut IPA. The other two panels were perplexed. One thought it was an apricot pale ale. Another was dumbfounded and didn’t have a clear consensus on the beer. Product description: Collaboration with J. Wakefield Brewing, this is an IPA brewed with coconut and dry-hopped with Equinox, El Dorado, and Zythos. Debrief: I’m a long time lover of Belching Beaver’s coconut pineapple IPA, previously called Great Lei. That beer, however, is wildly inconsistent batch to batch with some barely tasting like coconut. This Finback / Wakefield rendition absolutely nailed it with 10x the coconut flavor of any pale beer I’ve sampled before. I thought it was mind-blowingly delicious and would love to try it again. Every panel thought this was an American sour ale with fruit added. My panel guessed cherries and thought the producer was De Garde (Tillamook, OR). We scored it 9/10. I mentioned that it had flavors of pickled beets and also a green aloe vera character that is rampant across De Garde’s sour beer – a love it or hate it aspect. Another panel guessed it was a pomegranate sour. Every panel except my own guessed Casa Agria as the producer seeing that few breweries in our region produce sours of this quality. Product description: Jammy foeder-aged golden sour re-fermented on Boysenberries. At packaging, it is blended with additional foeder golden sour and our native cultured wild ale to add an expression of funk to the big berry taste. Debrief: Casa Agria has consistently impressed our tasting group since they opened in 2016 and today was no different. They also had a beer in my top ten of 2017. Boysenberry itself was not specifically mentioned, but I don’t think any of us have ever eaten a boysenberry before. The acid balance here was exceptional – something you rarely find in American sours. Acetic acid was barely present and the final blending helped dial back overall acidity. Finishing in second place overall, all four panels thought this was a 4-5% saison. Our panel scored this a 9/10 noting its pillowy, fluffy texture and immensely refreshing, effervescent mouthfeel. This really nailed the Belgian farmhouse style, in my opinion, with an interesting house yeast character. One panel guessed it was a funky saison from Sante Adairius (Capitola, CA). Product description: Vesper was brewed with Pilsner malt, flaked rye and wheat and lightly hopped with Styrian Golding and Cascade. It was fermented in stainless with one of our favorite strains of Belgian yeast and then conditioned with Brett. 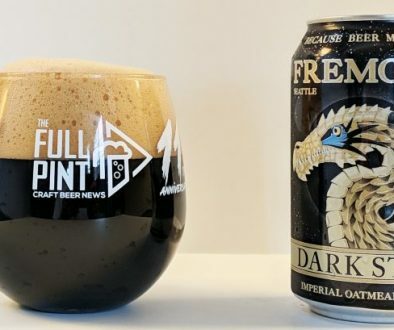 Debrief: I’ve been saying in this write-up that doing an open submission where all categories are allowed invites big styles like imperial stouts to beat up on refreshing, light-bodied styles just based on intensity of flavor. This beer disproves that theory as Vesper was the lowest ABV beer sampled of all 20. I thought it was brilliantly executed – easily the best beer I’ve had from Holy Mountain. One panel guessing this was from Sante Adairius is spot-on, California’s best saison producer in my opinion. Finishing in first place overall, all four panels thought this was an imperial stout in the 8-10% range. Two panels thought it was a coffee imperial stout while a third wrote down chocolate imperial stout with other unnamed adjuncts. I brought this beer, but had never tried it before. This was by far the most intensely flavored beer of the evening, which is saying a lot as Perrin’s mega Vietnamese Porter was in the mix. I noted that it had some red apple in the aroma but eventually cleaned up to intense German chocolate cake with powerful toasted coconut. I added that it had some cinnamon-like spice and habanero style heat in the backend, possibly from the whopping alcohol content. I also noted that this beer was wickedly bitter for this adjunct-style imperial stout. I was in love and scored it 10/10. Product description: See our in-depth review of this beer for more information. Debrief: Maybe this beer was like bringing a gun to a knife fight, but I was happy to see a generally positive consensus on up-and-coming star Horus Aged Ales. This beer truly is a masterpiece – utilizing Geisha coffee and hazelnuts to produce a dazzling medley of dark dessert flavors. We’ve tried it and liked it, it’s just not bottled and distributed. Great idea – we will get working on it! Good article and reviews. I think it would have been fun though to throw in a tried and true one just to calibrate the tasters. Like Stone IPA or Breckinridge Vanilla Porter. The only problem with this is that you might alienate some people if they think they have been tricked. I think for the next one we will improve on the methodology and I definitely agree on adding in a beer that everyone has had before. Great article. Always interesting to hear other takes on beer – we try new beers every week and the descriptions that we come up with are sometimes similar, sometimes different than the bottle liner notes. It’s easy to think you taste something when it’s been suggested to you, it’s another thing to taste it blind. Thanks for the kind words. Some of these beers see limited market distribution, especially Horus. Modern Times is mostly Southern California, Monday Night is mostly Georgia from what I know. Probably the easiest one to find is Maine Beer Co. All of their beers are spectacular. They come normally in single 16oz bottles with very minimalist, all white labels with tiny font. Best to find a good bottle shop and see what’s available to you or use a craft beer mailing service like Craft Shack, Bine & Vine, or any number of others out there. Wow, epic review! I love the idea of guessing the styles blindly. I did that in a wine tasting recently and everyone guessed the styles incorrectly despite labeling themselves as ‘wine enthusiasts’. Also in the wine tasting, we had to guess the cost as well, which made it hilarious that the average person couldn’t differentiate the $8 bottle from the $40 bottle, which begs the question of whether we should be buying expensive wine if our palates cannot tell the difference. Heck, there was even a two-buck-chuck in there that went mostly unnoticed. What are your thoughts on this in regards to beer? Should we be spending money on more expensive beer if in reality we probably cannot tell a marginal difference? Would you include cost in your next blind beer tasting? Guessing the style blind was a great idea from a friend of mine. In most judging competitions, the category is known and you are always judging the beer based on that category. With the category obscured, it makes it more challenging. But more importantly, it lets you see how far off-base a beer is to hitting the intended style (or perhaps how far off your palate is if you are outnumbered by other tasters). I’m all about great beer being cheaper and easier to acquire. For instance, I just picked up to review Maui Brewing and Crooked Stave’s collaboration called Two Tickets to Paradise. This comes in 12oz cans that you can grab as singles at Trader Joe’s for $4. I drank it last night and it would put most $30-40 750mL special release sours to shame. I’m all about that. Modern Times had done superbly with Black House and Fruitlands, giving us cans of $13 4-packs of 16oz cans that pack a flavor usually reserved for large format, pricey bottles. One of the biggest things I mention in my review is how hard it is now to compete with something like Pizza Port Swami’s IPA, $13 per 6-pack of 16oz cans that are world-class. Consider that Costco now sells AleSmith, Modern Times, and Pizza Port 16 packs – these are game changers. I think adding in cost would be a really fun variable to throw in there. This variable is completely overlooked by all beer judging and almost always ignored in beer reviews on all media platforms. We trust that cost is fair based on raw materials, but clearly it is based on many other things like scale of production and retail contracts. If there’s a phenomenal cheap beer out there, I want to know. I made that a big issue in my review of Firestone Walker Lager, which is very good, but tastes close to a macro lager but has the same price as all other craft beer on the shelf – a dangerous combination. The marginal difference from a macro is probably not great enough in my opinion for the average consumer. I recently got my hands on Sam Adam’s NE IPA, which is probably the cheapest one out for this trendy style and it was very solid – review forthcoming. Thanks again and hopefully we will have another blind panel test to write up in the future.